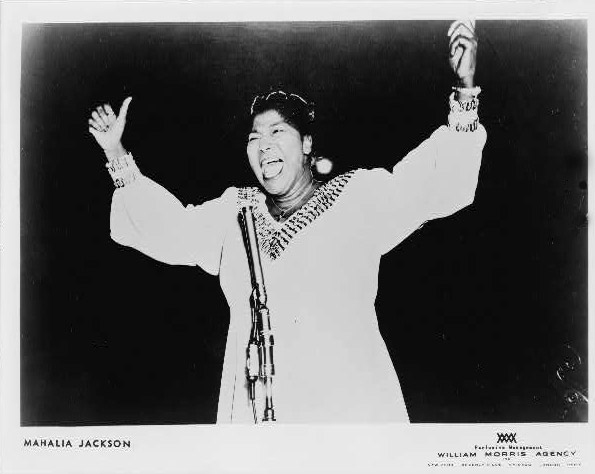 Today in History–October 26–the Library of Congress features Mahalia Jackson, born on this day in 1911. The “Queen of Gospel Song” performed at national venues and sang for four presidents in addition to singing “I’ve Been ‘Buked and I Been Scorned” just before Martin Luther King delivered his “I Have a Dream” speech during the 1963 march on Washington. If you have access to YouTube, you can hear Ms. Jackson sing that song and see footage of her singing another song at the 1963 civil rights march. Learn more by visiting the Today in History section and reviewing the resources below. If you’re interested in gospel music, don’t miss this gospel primary source set, including more than 100 audio recordings. You might also enjoy the collection: “Now What a Time”: Blues, Gospel, and the Fort Valley Music Festivals, 1938-1943 and this post featuring W.C. Handy and blues music resources.